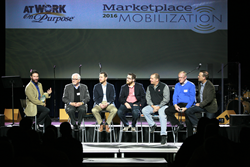 Faith-at-work leaders encouraged attendees at the 14th annual At Work on Purpose Marketplace Mobilization 2016 event in Cincinnati to minister to coworkers' felt needs, then share the good news with them in order to be the church at work. Chuck Proudfit, left, and six breakout speakers at AWOP Marketplace Mobilization 2016 (Memories Matter Photo). 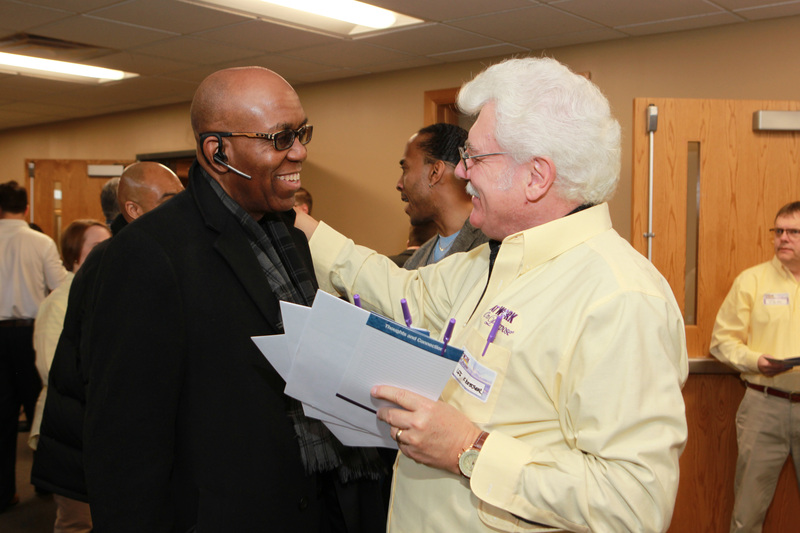 More than 500 people attended the At Work on Purpose (AWOP) Marketplace Mobilization 2016 faith-at-work event March 5 at Cincinnati Christian University in Cincinnati. AWOP founder and president Chuck Proudfit told attendees that there are 350,000 working Christians in the greater Cincinnati area, yet only about 18,000—less than five percent-- or a remnant, understand that work is a form of worship. Proudfit called on this remnant, or ekklesia (Greek name for ‘assembly called out’) of Christians, to minister to people at work, eventually engaging them in faith conversations. The success of the early Christian church relied on the ekklesia-- or a remnant of fully devoted followers-- to go into a territory to preach the good news, said Proudfit. Participants attended breakout sessions given by faith-at-work experts who gave practical tips on how to integrate faith and work. Al Erisman, a faculty member of Seattle Pacific University and member of the Theology of Work project in Seattle, spoke on “Climbing the Corporate Ladder without Losing Your Soul.” He is a 32-year veteran of Boeing, now retired, who directed a 300-employee research and development department of computer scientists, statisticians and mathematicians. Erisman said every worker has a role to play to represent God in the community and in their work, and emphasized the importance of performing your job ethically and serving others in order to become a leader and advance in a career. He also said that God cares about your work. “Which wing of an airplane is more important, the left or right wing?” he asked. “Make decisions with grace and represent Christ as well as you can. Rusty Geverdt, missionary and prayer pastor at North Star Church, spoke on “Hearing God’s Voice at Work.” Gerverdt is founder of the Cincinnati House of Prayer and is a leader in the prayer movement in greater Cincinnati. He spoke about being a missionary in eastern Europe during the Cold War, and communicating in other languages throughout the day. He listened to the Voice of America on his short wave radio at night just to hear a voice speaking English. He said we have to learn to “tune in a little bit more” and listen harder to what God says to us when we pray, because the tune and tenor of God’s voice comes from pausing in prayer just to listen to him at times. “When you pray, ask God what he is thinking and feeling,” he suggested. If you create a morning routine of reading and prayer and listen to what comes to you in the pauses, you will create “a reservoir of familiarity” in which you will hear God’s voice, he added. AWOP will offer additional sessions for marketplace mobilization in Cincinnati over the next two months. Geverdt will offer expanded guidance and discussion on “Hearing God’s Voice on the Job” from 9 to 11 a.m. on March 19 at Community First Properties , 11176 Main St. in Sharonville, Ohio. 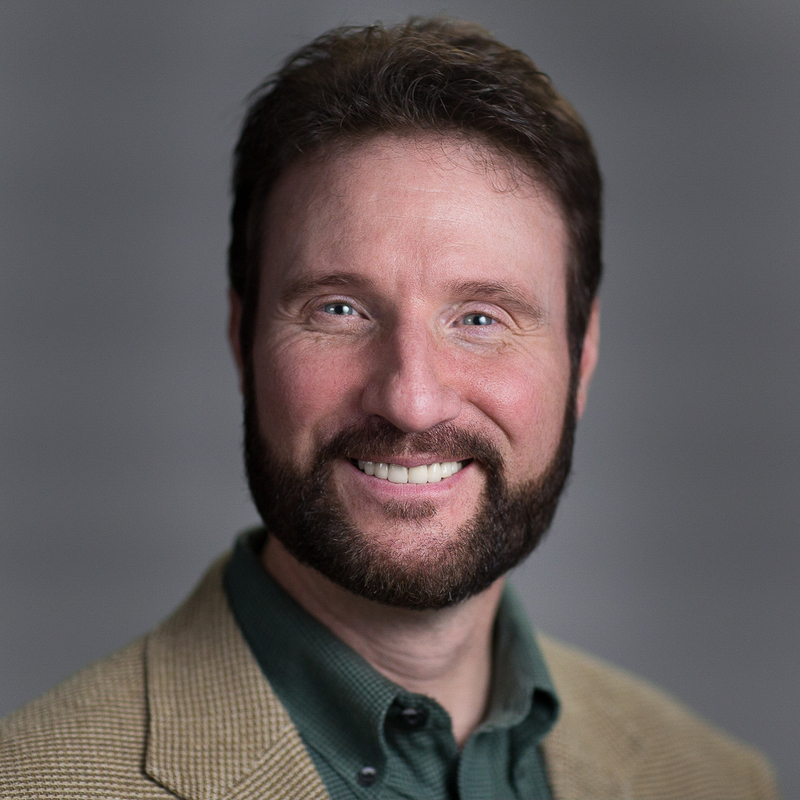 Doug Pollock, an author, speaker and teacher, will speak on “Sharing the Good News at Work,” from 9 to 11 a.m. on April 2, 9 and 16 at the At Work on Purpose suite, CMC Office Center, 10921 Reed Hartman Highway, Suite 120, in Blue Ash, Ohio. Admission to both events is free, but RSVPs are required. To attend the sessions, contact Ron Touby at ron.touby@cru.org before March 30. With more than 8,000 greater Cincinnati members, AWOP is the nation’s largest citywide marketplace ministry. AWOP was founded in 2003, and is located in Blue Ash. For more information on AWOP’s events, its faith-at-work tools and roundtables, go to http://www.atworkonpurpose.org or call (800) 513-9580. At Work on Purpose is the nation's largest, citywide marketplace ministry. Based in Cincinnati, the nonprofit organization helps working Christians mobilize the work world for Christ by offering inspiring and proactive ways to help them integrate faith into their work, transforming their jobs into platforms for ministry.